As a child in Medellin, Colombia, Dr. Andrea Maria Hodge was more interested in putting together subjects and verbs than figuring out equations. “I was a pretty good all-around student, but I was more into writing and literature,” Hodge says. That all changed when she and her family moved from South America to the United States during her teen years. While she struggled to learn a completely new language, she discovered a new-found love for numbers and science. More than 20 years later, the term “good student” would definitely be an understatement when discussing Hodge. The 38-year-old is an assistant professor at the University of Southern California. She is also the Phillip and Cayley MacDonald Early Career Chair in the Aerospace and Mechanical Engineering Department with a joint appointment at the Mork Family Department of Chemical Engineering and Materials Science. Even after she got a handle on the English language, her love for numbers and science remained. Still, Hodge calls her career path simply a process of elimination. As Hodge studied the craft of engineering, she began to see it as an outlet for her creativity. Eventually, Hodge went on to major in mechanical engineering as an undergraduate at the University of Nevada, Las Vegas. She credits Dr. Joseph Behar at UNLV with being a guiding light to her until his death a few years ago. She then pursued her Ph.D. in material science at Northwestern University, where she was mentored by Professor Julia Weertman. Hodge says these and other mentors were instrumental to her success. Hodge is also an accomplished researcher, with interests ranging from processing of nanocrystalline and nanoporous materials to nanomechanics of metals and biomaterials. 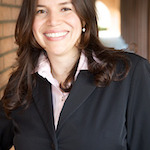 Her specialized research areas are part of the reason Dr. Michael Kassner recruited her, a decision he says has worked out wonderfully for the University of Southern California. Despite her many accomplishments and duties, Hodge still finds time to give back. 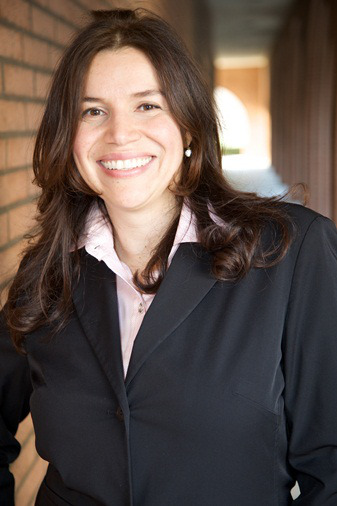 She is highly active as a mentor and in outreach, and is the co-founder of Body Engineering Los Angeles an NSF-USC-funded program that aims to involve and prepare Ph.D. students to become STEM leaders. It’s something that is very near and dear to Hodge’s heart, as it gives her a chance to both connect with an expert in the field and encourage both young women and children of color. She says the impact of seeing a minority in the STEM field is something that can’t be denied.